The opening reception will take place Friday, January 10th from 7pm to 9pm at the Focus Gallery at the University of Florida. Mixtus – (v) to combine or blend into one mass or mixture. Currents: Mixtus is a national exhibition that highlights contemporary works that act as a dialogue between disparate concepts and/or materials. 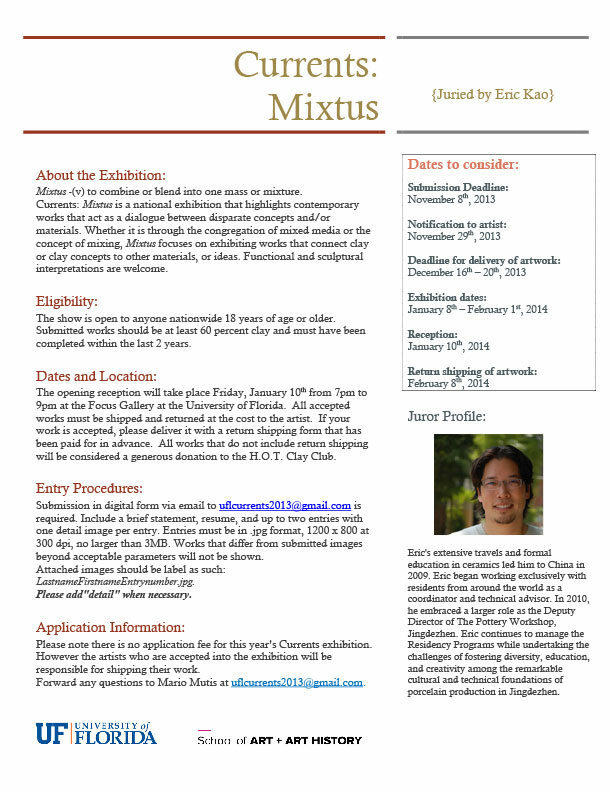 Whether it is through the congregation of mixed media or the concept of mixing, Mixtus focuses on exhibiting works that connect clay or clay concepts to other materials, or ideas.